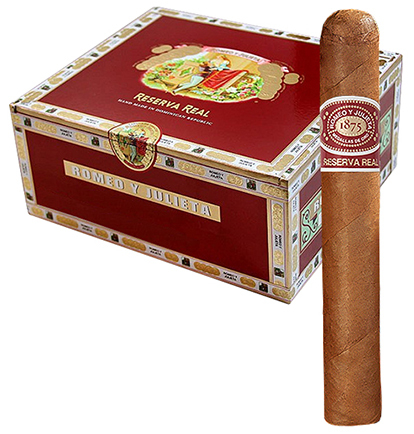 Romeo y Julieta has remained one of the choicest and most requested cigars by connoisseurs since the brand's introduction in 1875. The Reserva Real is no exception with its beautifully balanced blending of Dominican leaf spiced with Nicaraguan ligeros wrapped in hand-selected Connecticut Shade seed leaf grown in the valleys of Ecuador. Expertly handmade in the Dominican Republic at the renowned Tabacalera de Garcia factory, the Reserva Real is a mild to medium-bodied smoke with a gentle aroma and slightly sweet, woodsy flavor.